It took the athletes a really, really long time to get into Maracanã Stadium. NBC sped this up, a bunch. This was a montage of athletes experiencing the thrill of victory and the agony of defeat. 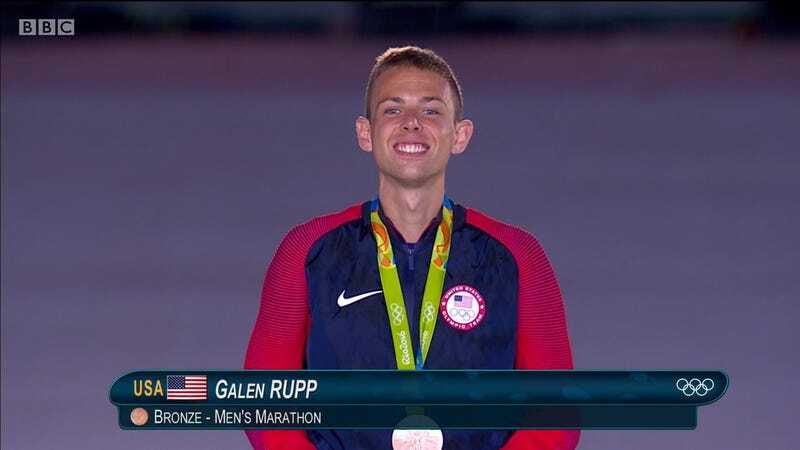 NBC aired the very end of this, but not (surprisingly) American Galen Rupp being awarded his bronze medal. Four athletes were elected to eight-year IOC membership terms. One of them was pole vaulter Yelena Isinbayeva, who was banned from the Rio Olympics due to Russia’s doping scandal. Once again, the president of Rio’s organizing committee gave a rambling speech. Once again, NBC didn’t air it. The remainder of unaired ceremony is bits and pieces from other elements, adding up to just a few minutes. Did U.S. viewers miss anything? Not really. NBC Edited Out 38% Of The Closing Ceremony. Here&apos;s What You Missed.